I had gone to the bazaar to buy a movie to watch. They were banned but you could still get them. While I was walking home, a talib stopped me. I had the movie in my hand which was tucked inside my jacket. He asked me what I had in my hand. I told him it was a movie. The talib told me to give him the movie and to come with him. I asked him where we were going. He told me he was taking me to his base. I refused. I told him; “I’m not going to just go with you.” He was carrying a big stick and he started beating me with it. He hit me on the back, across my face, on my head. A few other talibs joined in and beat me until I was bleeding about my head. My nose was busted. They took my movie. They told me that I was lucky and to get home and not to let them see me again. I was 17 years old at this time. When I got home, I was filthy from the beating. My clothes were rippled. My nose was bleeding and I was bleeding from several cuts and lumps on my back, chest and arms as well. My father asked me what had happened. I told him that the talibs had stopped me and took my movie from me. My father would not let us watch TV or movies after that. He took our DVD player and TV and locked them up. I was harassed often and beat a few times because my hair was too long. Men were expected to have what you would call a buzz cut. Like your military men wear. During the taliban, it was mandatory to go to mosque and pray five times a day. All shops had to close and everyone was expected to attend the mosque prayers. On this day, the muezzin had made the call to salaat (prayer). In those days, the talibs had religious police who walked around and made sure men had short hair, their beards were a fist length, women were escorted by a male family member among other things AND that everyone was in Mosque for salaat and adhan (Friday prayer). My father was old and sickly. So he could not move very fast. As he was finishing locking up his shop, a group of talis approached him. They asked him why he was not at Mosque for prayers. Before he could answer, they started to beat him. I heard his cries and ran out. I attacked them and yelled at them to leave my father alone. They stopped beating my father and started to attack me. They beat me and then took me away to their headquarters. They kept me there for 3 days and each day they came in and hit me with sticks and their fists. The talibs would beat you if your hair was too long. They would beat you if your beard was not long enough. If a woman was caught out alone, they would beat her. If you were caught with any banned item, they would beat you. Sometimes, they would beat people for a simple glance in their direction. Sometimes, people would be taken away. Some returned. Some didn’t. I was held 3 times for run ins with the talibs. Finally, my father sent me out of the country. First I was smuggled across the border to Iran. They caught me and sent me back to Afghanistan. My Father then sent me to Turkmenistan. I was caught there and expelled. Eventually I made my way to Russia where I stayed for a couple of years until the American Army came and kicked the taliban out. My younger brothers were all illiterate because of the talibs. They would only let us read Qu’ran. Those are but two of the stories out of millions of lives in Afghanistan. They were both a little foolish and lucky and brave to challenge the talibs in such a manner. Thankfully they weren’t taken out and murdered by those savages. I can’t give their names here. 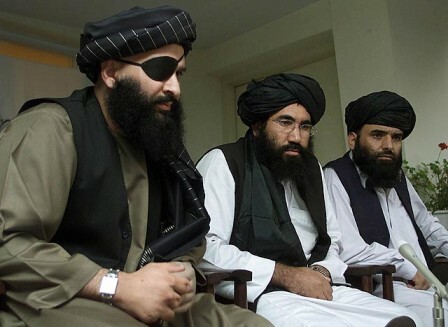 There are still parts of Afghanistan are still threatened by the taliban, al Qaeda and banditry. While the taliban was terrorizing Afghanistan, they burned whole villages in the Hazara districts. The Hazara are members of the Shi’a sect of Islam. They are said to be descendents of Genghis Khan. I have read that geneticists have confirmed this. The talibs consider all Shi’a apostates. From what I can gather, the Iranians supplied the Hazara with arms and training during the talib reign. Even so, the taliban destroyed several villages in the Hazara districts murdering or displacing thousands. The Bamian Buddha were in the Hazara lands. The idiot talibs destroyed those national treasures with dynamite. The buddhas had stood mute witness to history for thousands of years. They had seen Genghis Khan, Babur, Tamerlane. 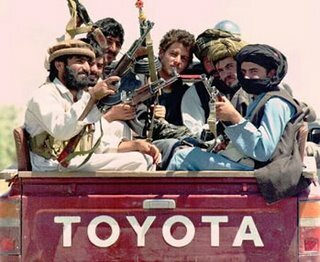 They had seen Massoud and Rabbani fight the Soviets and so much more. Now, they are no more. Niches in the cliffs are all that remain. 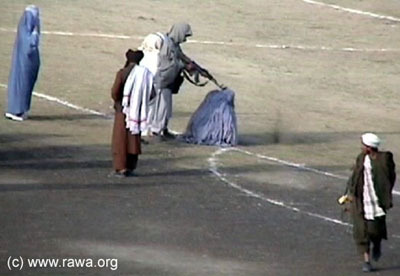 This victim of the taliban was not so lucky.